Is this the most important podcast I've ever recorded? I've been meaning to record a podcast with Ashley Meyer of the Energy Therapy Centre for a long time. But as you'll hear in today's podcast, I haven't quite felt ready until now. That's because I've worked with Ashley for quite a few years, with genuinely incredible results, and it felt quite private to bring it into the podcast. 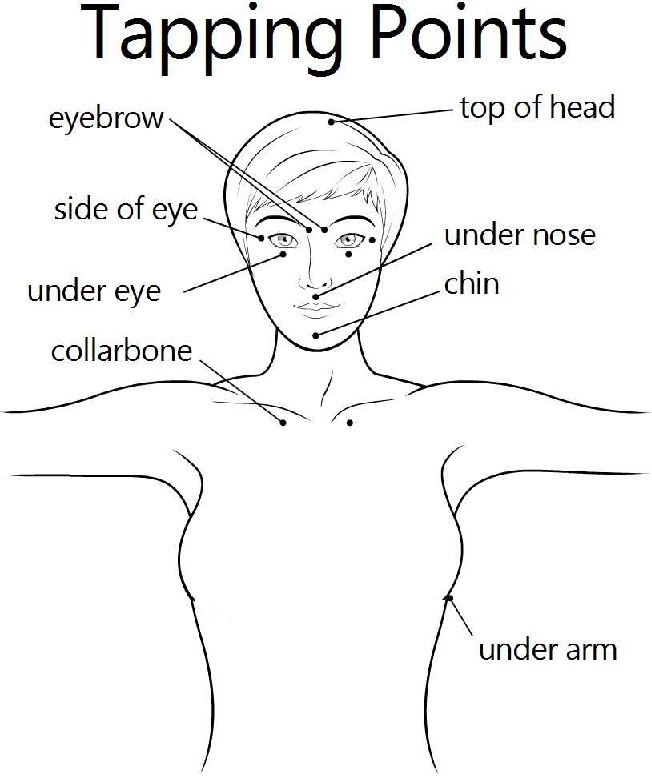 But now - who cares - I just want you to know about the potential of EFT or 'tapping' as well. Obviously, it's not for everyone (see diagram above), and I get that straightaway it looks kind of weird. So bear with me. It's no exaggeration to say that when I took 3 months off work because of illness, this, and Ashley, were the things more than anything else that helped me get back to health. That's why I think this might be the most important podcast I've ever recorded. This podcast is supported by Bulletproof Coffee and supplements. Simply use the code ZESTOLOGY at checkout for 10% off if you want to get involved.. (Code works in both US and UK/Europe stores). And in today's podcast, my new hot drink recipe - which is delish. It's also brought to you by the fantastic Human Charger. Check out the podcast I recorded. For more, and a 20% discount (yep! big discount from the good Human Charger people), click on this link here and use the code ZEST2017 on the amazon checkout page. I genuinely recommend it, and my friends seemed to like it too - they were forever badgering me to use it to help with their jetlag too!